John Anthony Miller artwork! We sell the art work of John Anthony Miller miniature etchings and engravings. Ray Bradbury and John Anthony Miller at Phantom Bookshop, 1993. 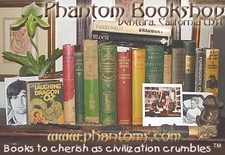 Welcome everyone to the Phantom Bookshop. I am reorganizing content. 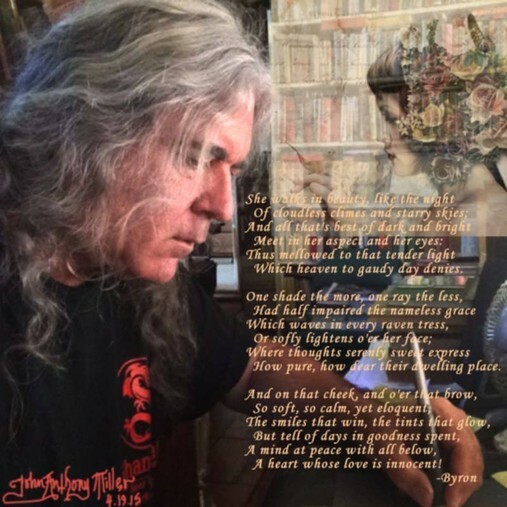 You may peruse my books and art site at the link above. We now sell most of our items through eBay and that is very exciting! Thank you for taking time to read this and push keys to links. Entire content of this web site is Copyright by John Anthony Miller 2015-2017. All Rights Reserved.